★★★★★ LOVE, LOVE, LOVE these! I love to cook, but hate when things boil over. I have used the medium sized one the most so far and love it.. They easily lay across any pot or pan and heat can be left higher than normal. Once the liquid starts to boil up, the vents open and allow liquid to "puddle" on top. I don't have to run back to my stove once I hear things boil over and sizzle on my stove top.The only negative thing I have to say is that when I lift the cover, the condensation/liquid on the bottom of the lid drips everywhere. 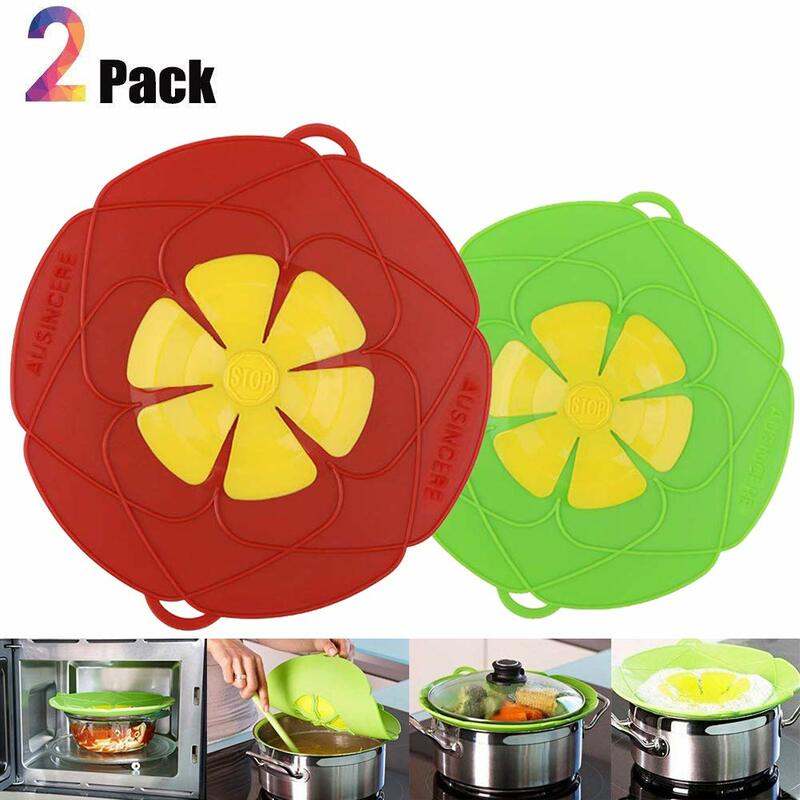 Problem solved by taking the pot/pan over to the sink and removing the lid cover there.I am so happy with this product that I will be buying a small size next. ★★★★★ Works great. I rice always boils over. No more!